Have you heard a little about Management Consulting, but want to learn more? Are you open to other challenging & prestigious opportunities besides Wall Street? Does never being bored and solving complex strategic problems for Fortune 500 companies interest you? 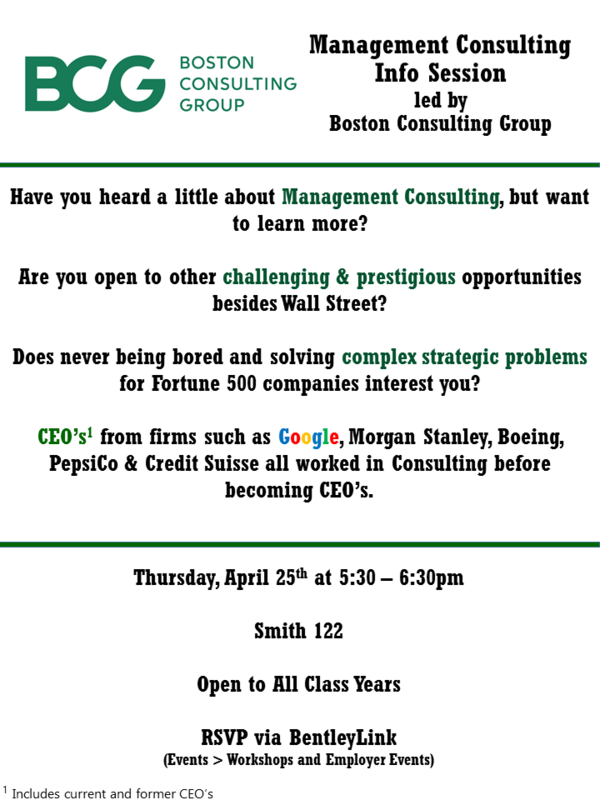 If so, attend the Management Consulting Info Session led by the Boston Consulting Group. Learn about the industry as well as their unique alumni referral and prep program for Bentley students!